As the holidays approach, most businesses find that they must deal with extra demands on their call centers because of seasonal promotions, heavy vacation schedules, and temporary workers. Here are a few tips to ensure that your contact center system is fully prepared so that you don’t risk alienating customers. One area that many companies overlook is matching staffing in the appointment confirmation system with marketing promotions. While most unified communication providers will have sized your system to handle your peak demands, the system cannot function at peak efficiency if it is not optimally staffed. Since many marketing departments run seasonal promotions which may run during certain days or hours, make sure you coordinate your call center staff to handle the expected demand. In addition, if your business runs off appointments, such as doctors, dentists, opticians and other medical providers, be aware that many people try to use their annual medical benefits before they expire at year-end, which can put additional demands on unified communications systems. 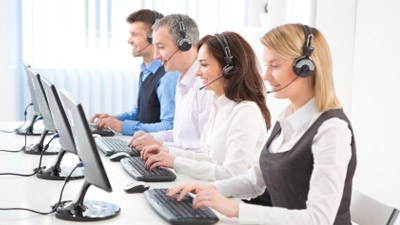 Everyone who works on your contact center system must be working at peak efficiency during this busy season, so make sure they have been adequately trained. Unified communication system providers can help by recommending the right training as a refresher for existing employees or to help new employees get up to speed quickly. One quick and often overlooked way to bring new employees up to speed quickly is to tag team new hires and temporary seasonal workers with your most experienced people. Your appointment confirmation system is simple and easy to use, but it may take a while for new people to understand all the capabilities it has. Watching experienced employees work with the system is one way to ensure that new employees see the most efficient methods of accomplishing most tasks. Many businesses make the bulk of their profit during this season, so it’s important to ensure that nothing gets in the way of making a sale and maximizing revenue. One way to ensure that everybody working on the unified communications system is to provide scripts for cross sell, upsell and promotions. The scripts can be as simple as a sticky note on a monitor, but you will get much better results if you incorporate the scripts with your contact center system. By integrating the system with your order management and customer service system, your employees have immediate visibility into current promotions, specials and substitute items. Unified communication providers can easily assist with the integration. In addition, integration with order management and warehousing systems can speed up order picking and keep inventory records up to date so your call center team doesn’t make promises that you can’t keep. Nothing is more disappointing than to discover that you thought you had found the perfect holiday gift, only to find out too late that the supplier can’t deliver. Don’t ever put your customers in that position, because the damage to your reputation will be difficult to overcome, and it is completely unnecessary if you work with unified communications systems that can easily connect your call center with remote warehouses to validate information. While it may be too late to create the integration between your back office business systems and your unified communications system and still have time to verify that the systems work together for this holiday season, you can work with your unified communication providers to ensure that the systems are working together and fully integrated for the future. You will find that unified communications system providers can easily accomplish this task, and your business will enjoy the increased efficiency for years to come.